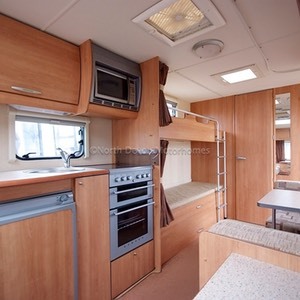 Large 3 way fridge, sink, hob with 3 gas rings and 1 electric, grill, oven, microwave, extractor fan, lots of storage. 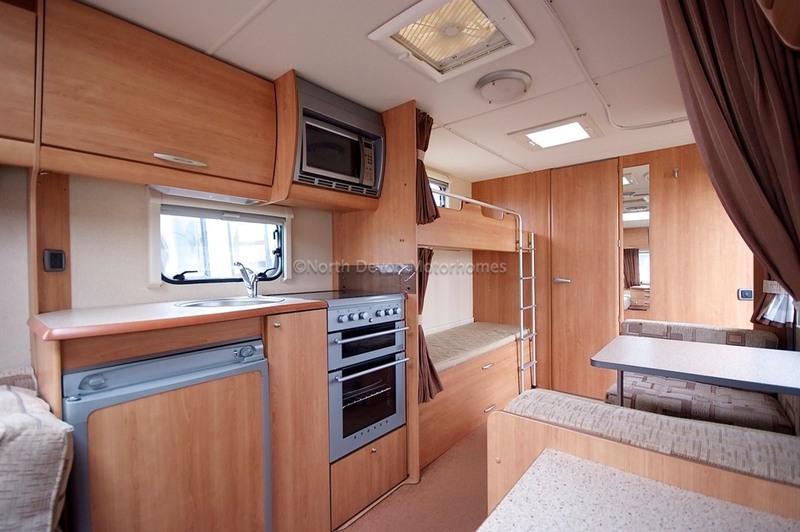 Single dinette with table (coverts into bunk beds with large surrounding curtain), opposing the dinette two large fixed bunks each with curtains and a fixed ladder for the top bunk, roof light. 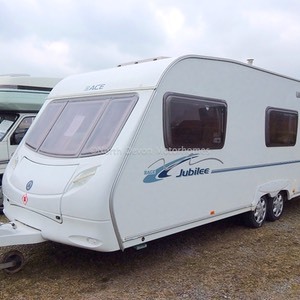 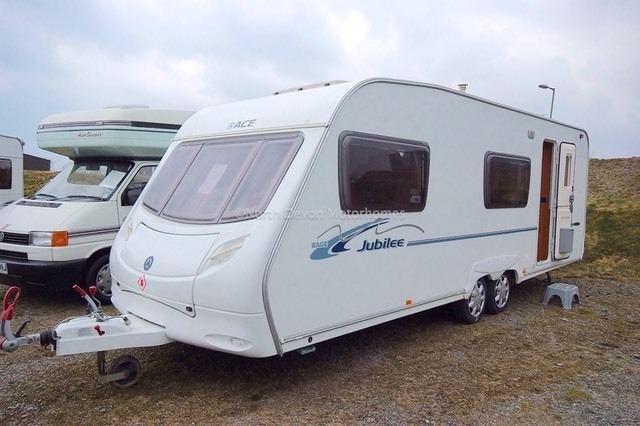 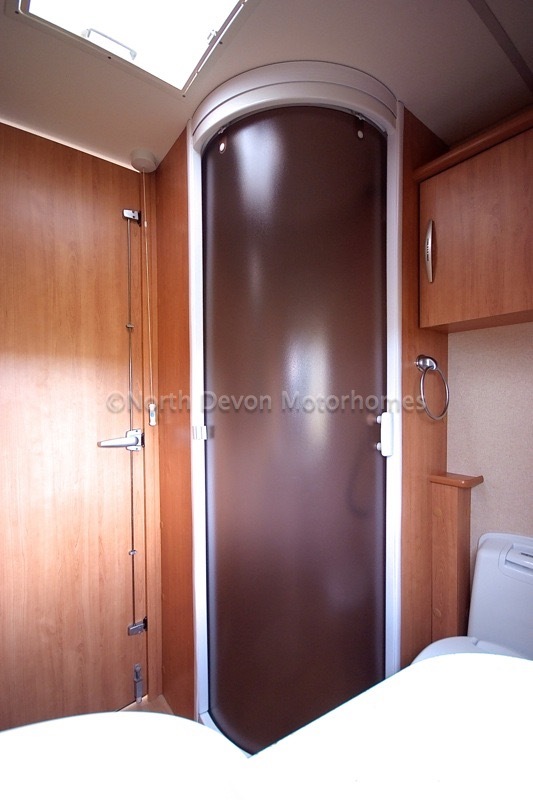 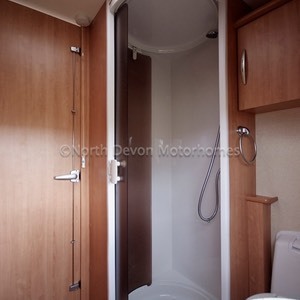 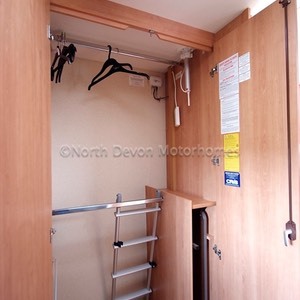 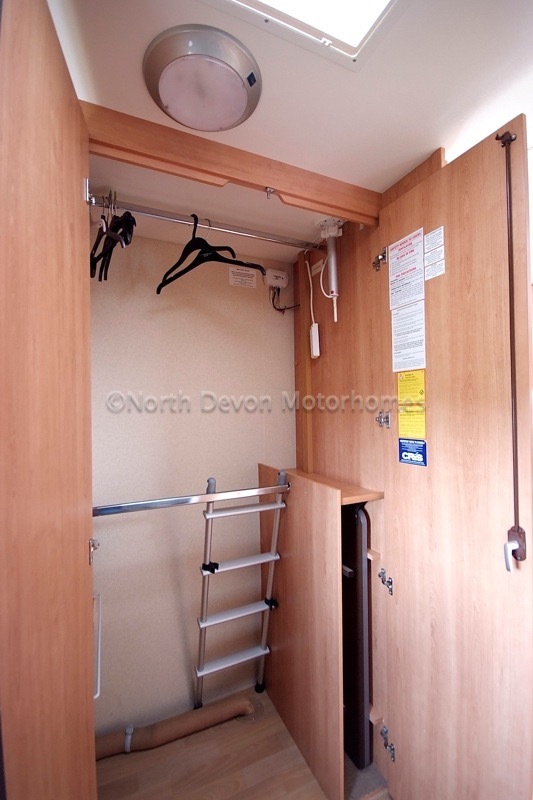 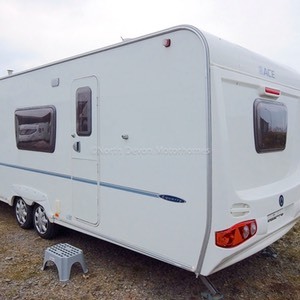 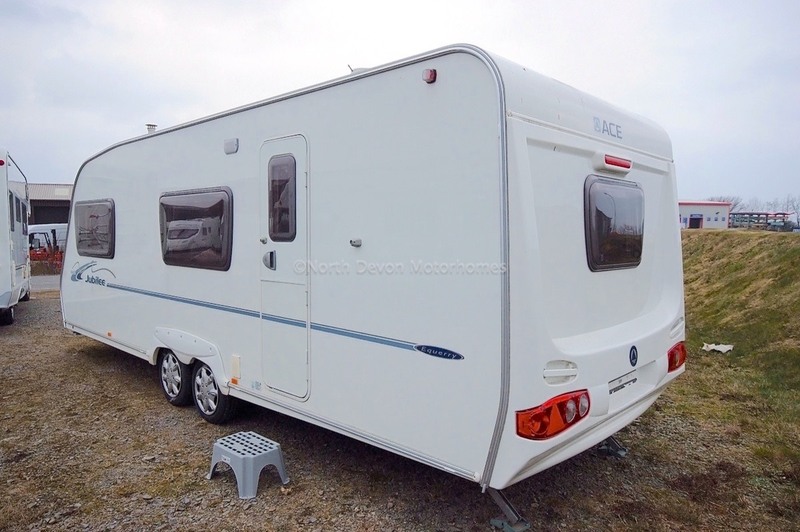 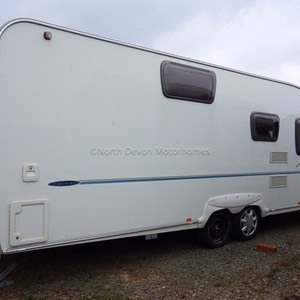 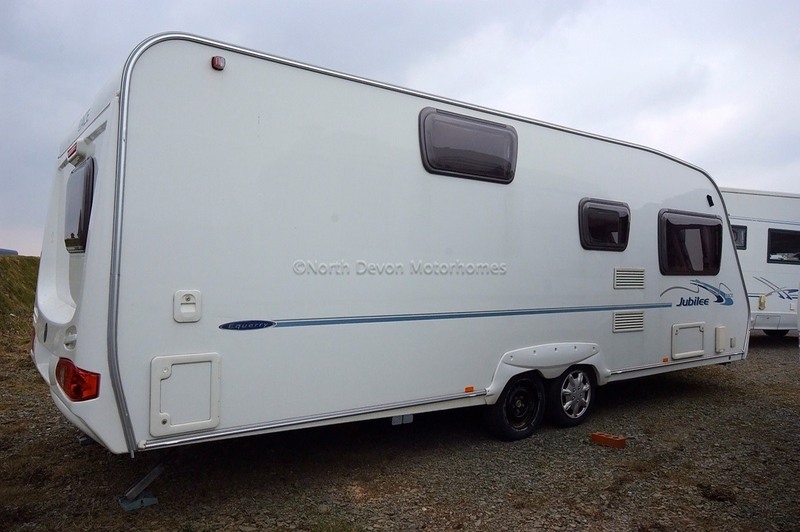 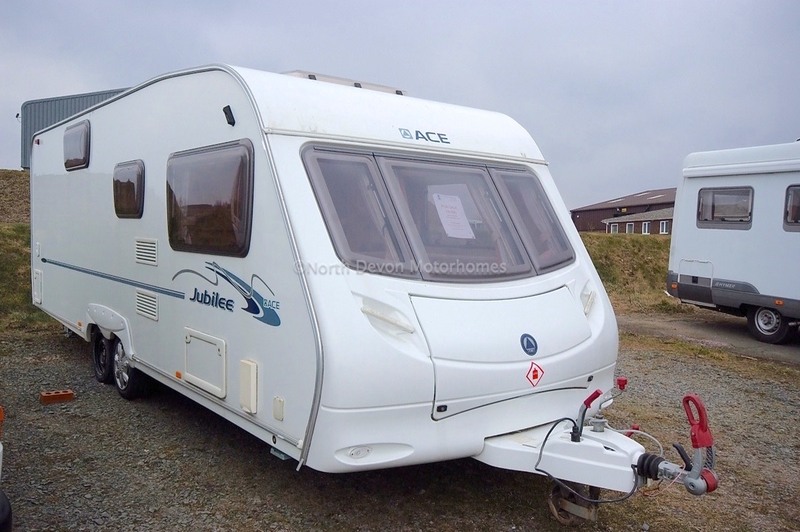 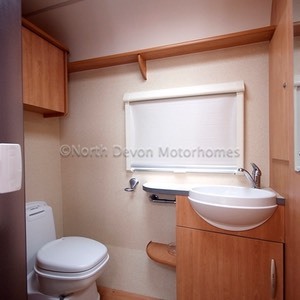 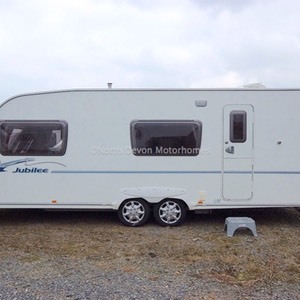 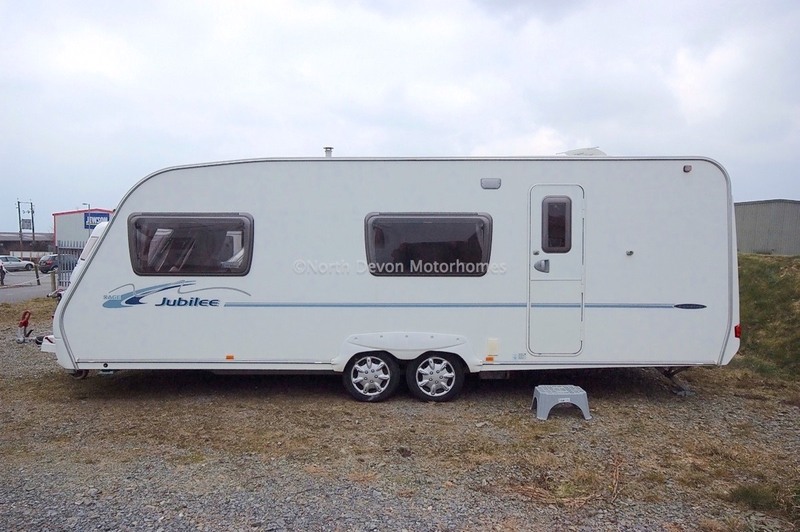 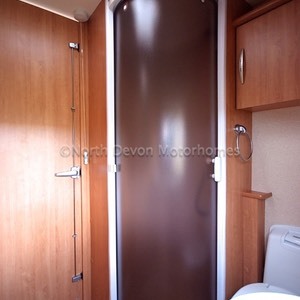 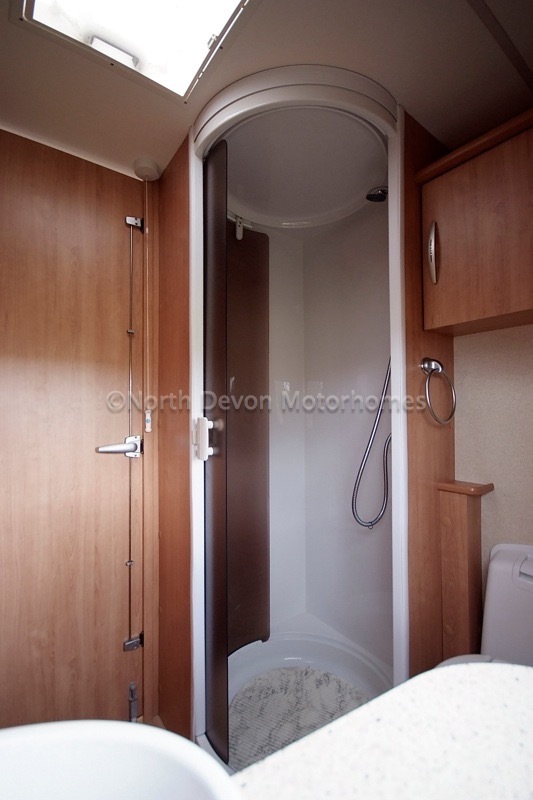 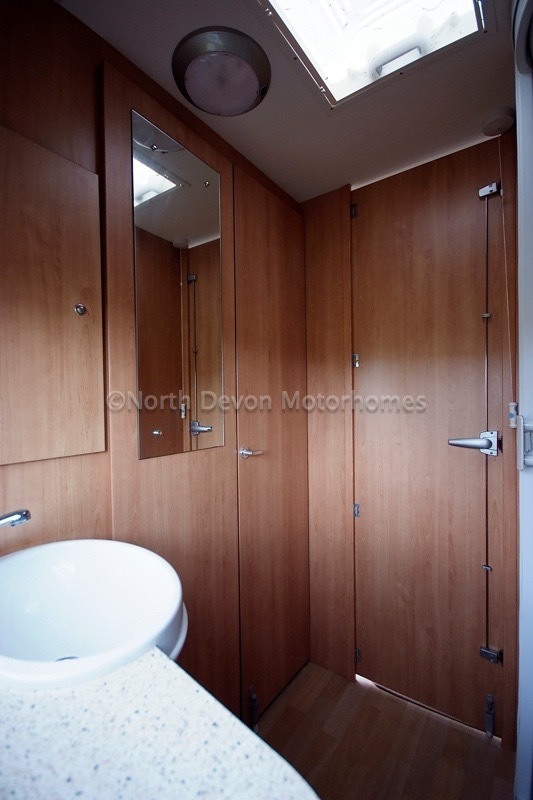 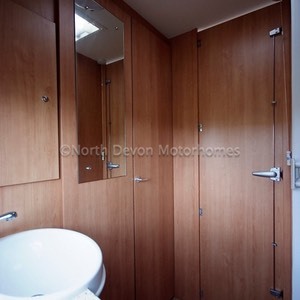 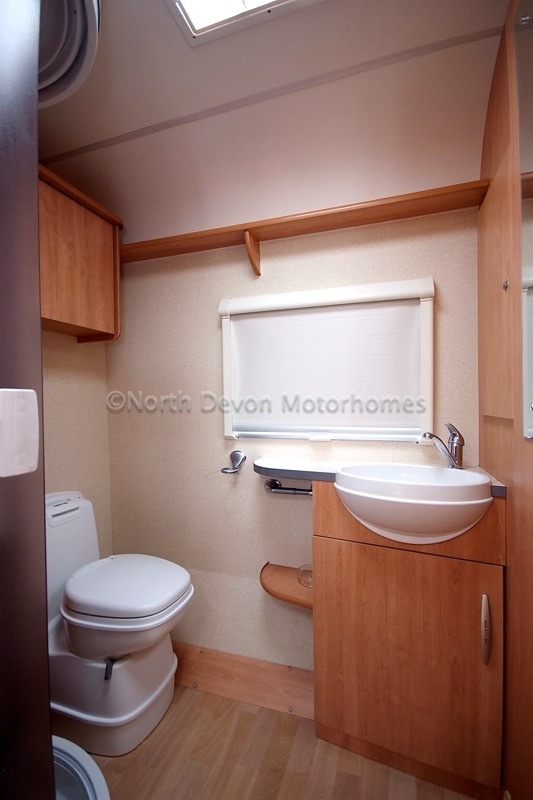 Large separate shower unit, cassette toilet, sink, very large wardrobe, mirror, roof light. 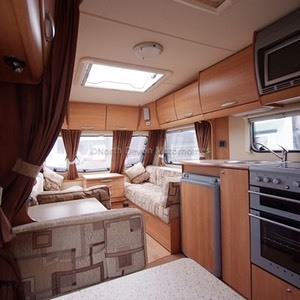 Truma Ultra Heat hot air blown heating system, working on LPG or 240v, multiple blown air heating points through out the van. 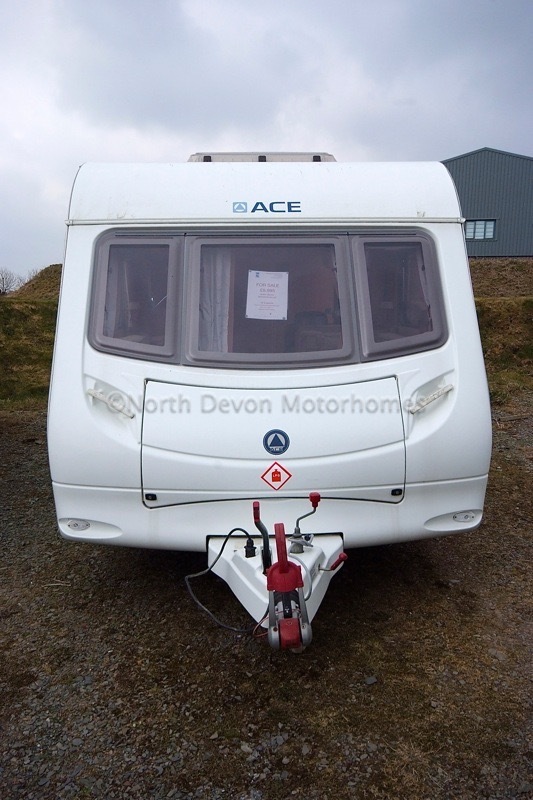 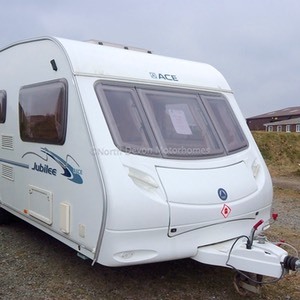 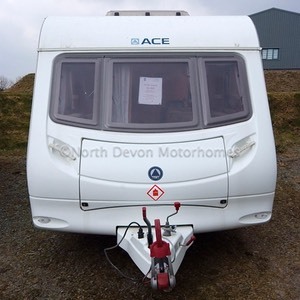 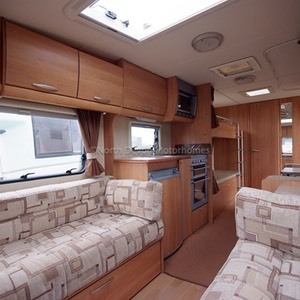 Stereo and speakers, awning, status tv arial, water pump, 240 volt hook up, gas bottle and regulator, microwave oven. 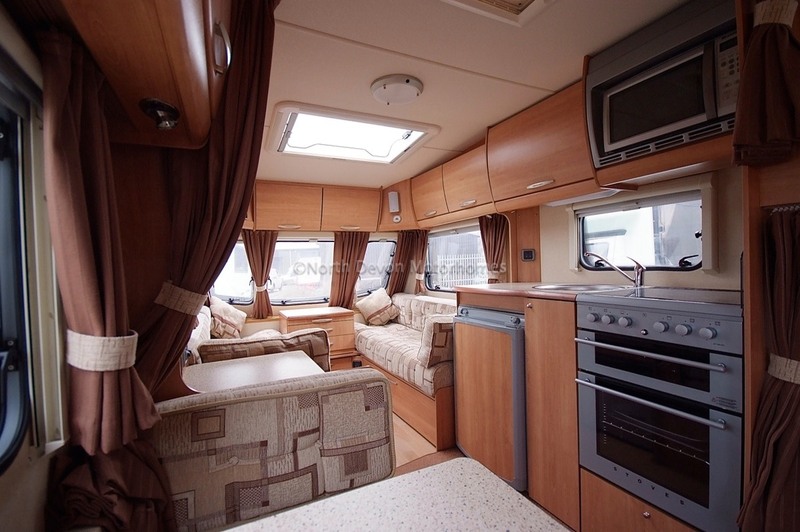 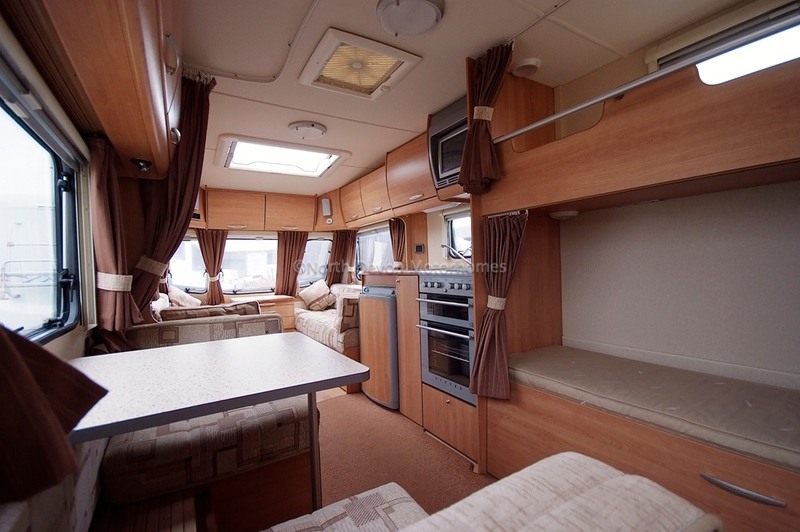 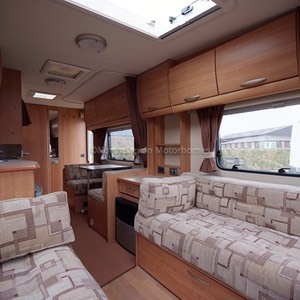 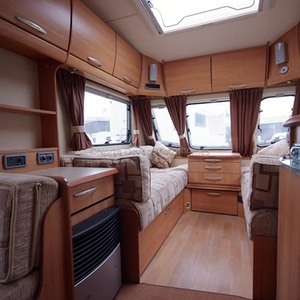 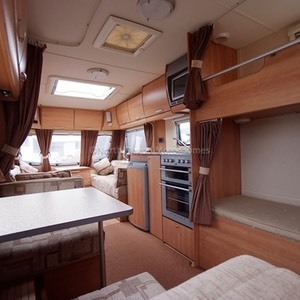 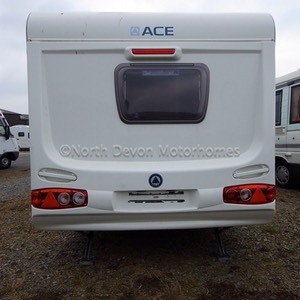 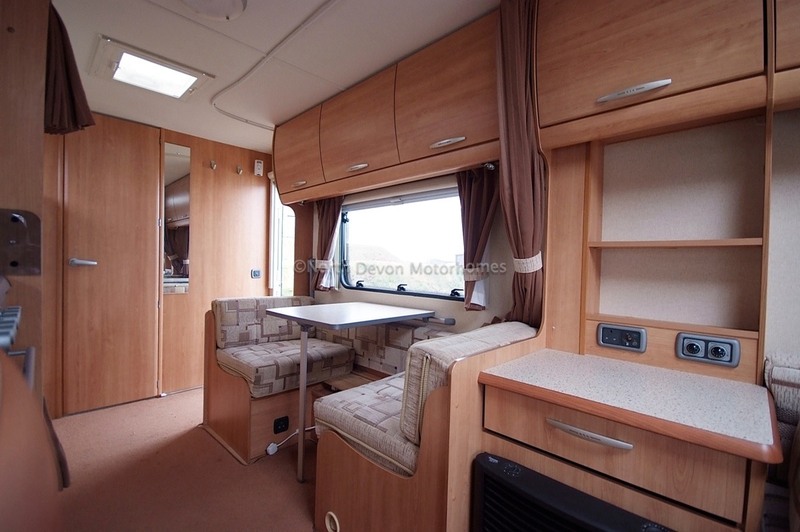 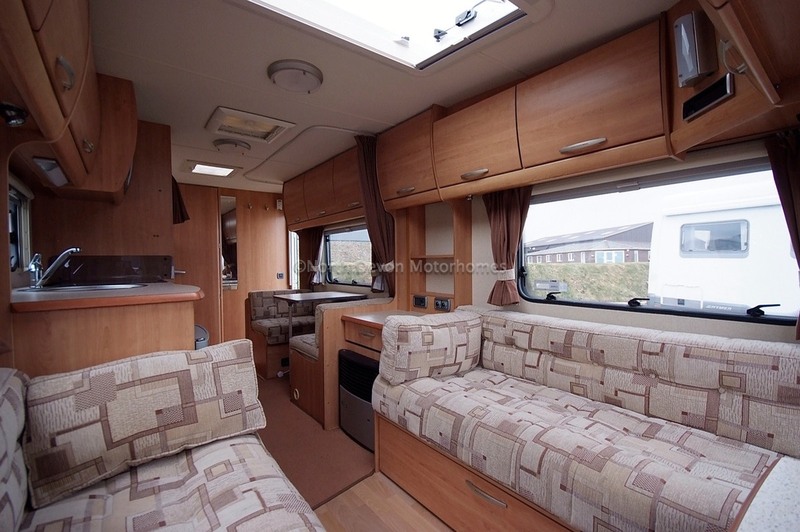 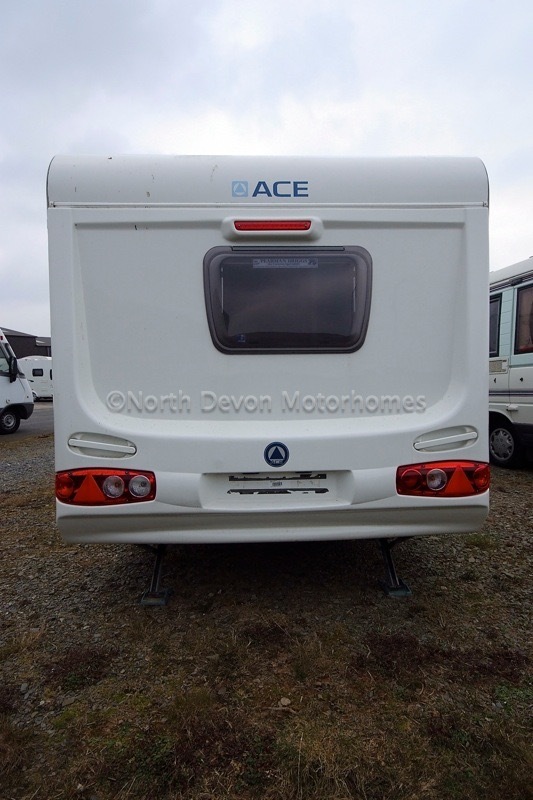 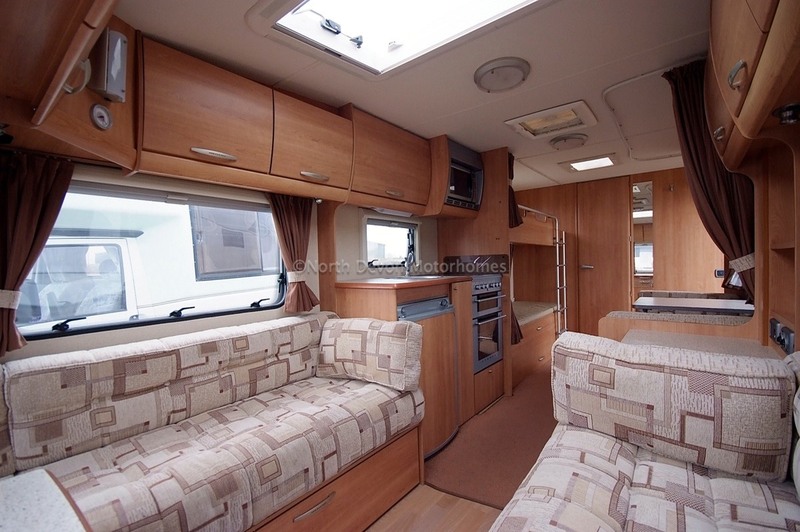 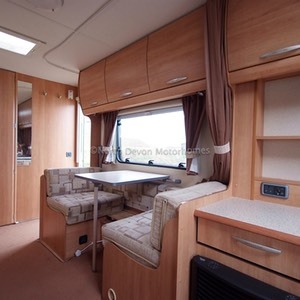 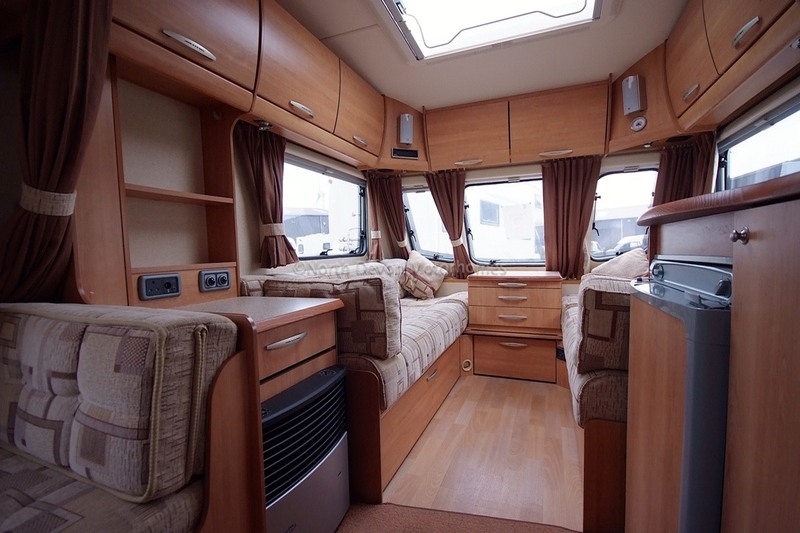 A cracking well looked after van, perfect for a family holiday, very well built with a bright and airy interior.